Shaped and constructed in wood, the Megalith Mirror from Porta Romana marries Art Deco design with a Brutalist style. 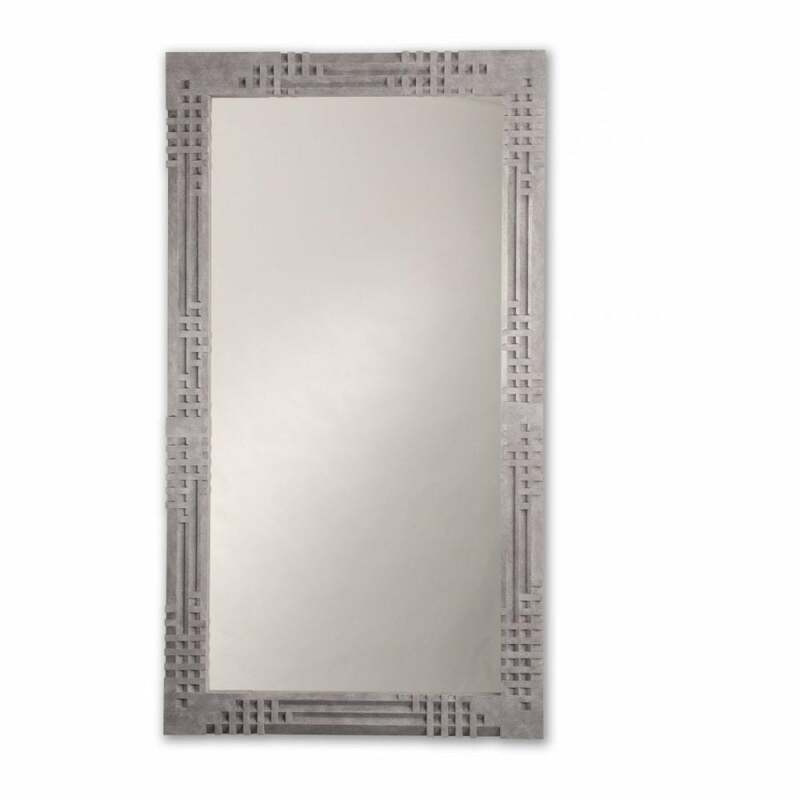 This sleek, rectangular mirror features a geometric pattern that creates depth and interest where pieces are indented and overlaid. Hand-crafted from cast composite the decorative finish resembles the smooth texture of poured concrete. A statement design with designer appeal, the Megalith Mirror works beautifully positioned above the matching console table. Ideal for both residential and commercial interiors, Megalith will bring a touch of luxury to your scheme.